It’s easy to start an e-commerce business today. All you need is to get the products you’ll be selling and create a store using one of the top e-commerce platforms, like the ones rated by Business News Daily. However, if you want this business to succeed, you also need to use a variety of other software tools to manage your inventory, books, process payments, and overall manage data pertaining to your shop. The most important tool you need is cloud-based accounting software that will allow you to keep track of all your finances efficiently. This is a must for any business that wants to keep its money and relevant records in order. You will definitely be grateful for this software when developing a budget or filling out your taxes. The benefits of cloud-based accounting solutions include the ease of use and easy integration. You don’t have to be a professional in bookkeeping to use them efficiently. The best options for small businesses today are QuickBooks, Zoho Books, FreshBooks, and Xero for Mac. You should get top-quality inventory management software the moment you decide to run an e-commerce business. It’s a definite must-have as without it you won’t be able to keep track of your products and money. A good online inventory management tool will auto-update and prevent unpleasant episodes where a customer places an order only to be disappointed that their desired product isn’t in stock at the moment. Be sure to choose a solution that will integrate into your website and e-commerce software you use. The hosting you pick will also matter for this, so choose a provider that uses top-quality software and offers expansive packages that will allow you to load your website with helpful plugins. InMotion Hosting is one of such options and it has a low starting price, which is important for all new businesses. The renewal prices this provider offers aren’t very high, so you won’t have to worry about moving your website when the contract runs out. The best inventory management solutions for online stores today include Fishbowl Inventory, Agiliron Inventory Management, Pomodo, and GOIS Pro. When you run an e-commerce business you need to accept as many types of payments as possible and ensure all of them are processed fast. Security is also a major issue, so you should only use the best solutions for this. Multiple payment methods are necessary to make the purchases more convenient for customers. The solutions for payment processing are extremely versatile and rather complex, so take your time researching each option to pick that one that will not only meet your needs now but also help your store grow. Some of the software tools to consider are Stripe, Zoho Checkout, Tipalti, Intuit Payment Network, and WePay. Email marketing is highly effective for e-commerce and software that manages and automates it will make your promotion strategy much more efficient. It will also save you a lot of time as a good solution will be able to automate the majority of tasks. Some great platforms to consider are Omnisend, Mailchimp, Klaviyo, and Kevy. 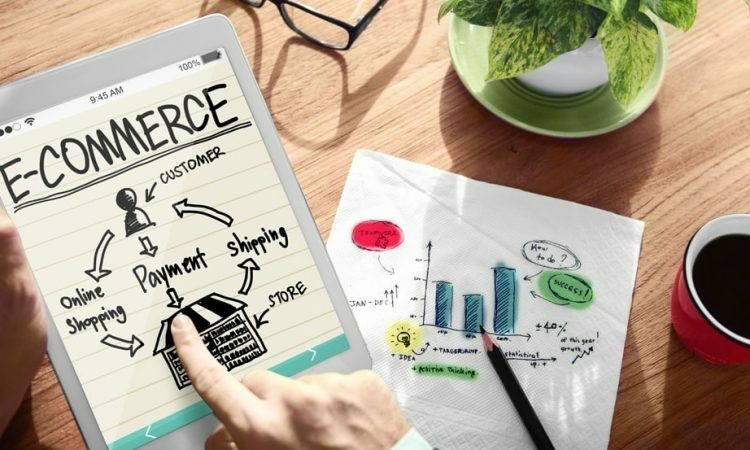 Of course, if you want to run an e-commerce business that will succeed you need to collect, process, and analyze data on its performance so you know how to improve. The best data analytics solution for any online business is GoogleAnalytics, but KISSmetrics, RetantionGrid, and Clicky are also very good.